Whether after a protracted struggle or a rapid defeat, the Islamic State will lose control of Mosul in the face of the offensive to expel it. This naturally raises the question: What comes next for the Islamic State? But the answer depends on how you define the Islamic State, and which division of the movement you consider. Franchises or affiliated groups that have pledged allegiance to the core. Grassroots Islamic State supporters who may or may not have some contact with the core or a franchise group. The loss of Mosul and other key territories, including the prophetically significant town of Dabiq and the logistically critical city of Manbij, will impact each of the branches differently. The Islamic State core stands to lose the most men, materiel, resources and supply lines from these cities' capture. Without them, the core will be less able to recruit new members from the population's ranks. Similarly, the Islamic State will no longer have as many people to tax and extort, or - in the case of citizens who have fled, have been imprisoned or have been executed - as many people to appropriate goods and property from. The group will forfeit valuable oil fields and smuggling routes as well. Meanwhile, the core will have to contend with the deaths or capture of its leaders. Though the Islamic State has a lengthy track record of keeping a deep bench and a robust bureaucracy able to weather leadership losses, the amount of experience the group has recently sacrificed will be difficult to replace, at least in the near future. Technology and software companies spend millions acquiring new customers, yet customer retention is what separates top performers from their competitors. When most technology and software-as-a-service (SaaS) companies think about growing faster, their first thought is to invest in acquiring more customers. While customer acquisition is a clear part of revenue growth, a less obvious but critically important driver is customer success, as measured by high retention rates. Once you have invested the time and money to acquire a new customer, you lose out on the full revenue potential of that customer if they leave, or churn, earlier than desired. By reducing the revenue headwinds caused by churn, companies with strong levels of customer success grow faster. We examined a subset of 75 companies that fell into three revenue ranges: from $10 million to $20 million, $20 million to $50 million, and $50 million to $100 million. We define the three customer types in this way: small and midsize businesses (SMBs), with an average contract value (ACV) of less than $15,000; SMBs and enterprises, with an ACV of between $15,000 and $75,000; and enterprises, with an ACV of more than $75,000. The SMBs-and-enterprises category includes companies that sell to both SMBs and enterprise customers. To better understand the impact of customer success on the growth of technology and software companies, we developed a set of hypotheses and perspectives on key metrics behind customer success, as well as best practices for reducing churn that we validated with input from leading innovators in venture capital and SaaS. We then dug into our proprietary database, SaaSRadar, which tracks key financial and operational metrics across nearly 200 growth-stage SaaS businesses with revenue between $10 million and $200 million. We used that data to look at how top-quartile performers in revenue growth compare with mean performers across a range of churn and related metrics for each of three customer types: small and midsize businesses (SMBs); SMBs and enterprises; and enterprises (see sidebar, “About the research”). Last week, The Guardian reported renewed talks between representatives of the Taliban and the Afghanistan government. The secret meetings had taken place in the last two months in Doha, Qatar. The seriousness of the dialogue can be gauged from the reported presence of Mullah Abdul Manan Akhund, brother of former Taliban chief Mullah Omar. Now, there are several possibilities here. Theoretically, Akhund may have participated in the Doha talks with the knowledge of Pakistan’s Inter-Services Intelligence (ISI). 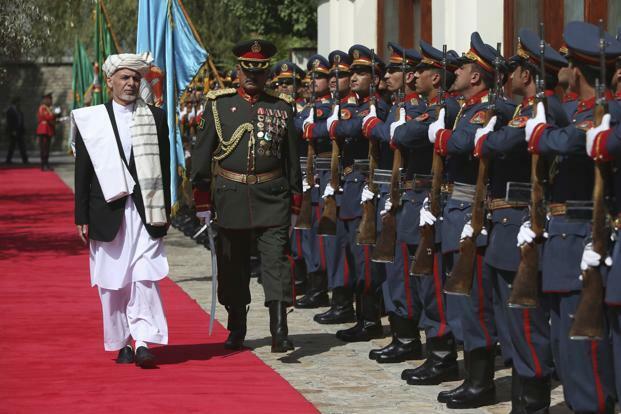 But that seems improbable because Pakistan never wants direct contact between the Afghan government and the Taliban. And The Guardian report suggests that no Pakistani official took part in the meetings. It is also possible that Akhund is not on the same page as Mullah Haibatullah Akhundzada, the current chief of the Taliban. Akhundzada is known to be very close to the ISI. So this may just be a factional divide in Taliban leadership. However, nothing can be ruled out. After all, Mullah Akhtar Mohammad Mansour, the previous Taliban chief, too was a certified Pakistan man. But apparently he began to take his own decisions and many believe this to be the reason behind his killing in a US drone strike. With the Middle East in flames and Pakistan military-terrorist nexus routinely triggering border skirmishes, India is virtually at war. China now has a vibrant aircraft industry and routinely displays aggressive behaviour on the Sino-Indian border. 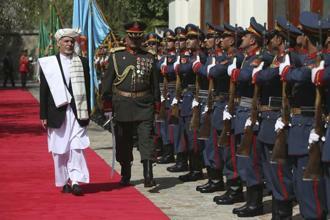 Very close military and economic links between China and Pakistan is a cause of concern for India. Build up of India’s military strength has not kept pace with the increasing threat. The new government’s ‘Make in India’ thrust especially on defence is a very welcome move. Mired in bureaucratic red tape and political indecision, the Government of India (GoI) takes years to identify, select and induct military hardware. To cut short the procedure, direct government-to-government purchase is now becoming more of a norm. At the current pace, it may take over 15 years to reach the authorised 42 squadrons. A three-pronged approach is required to get value for money. Drive ‘Make in India’ hard, accelerate purchase of already selected systems and improve serviceability of existing systems. 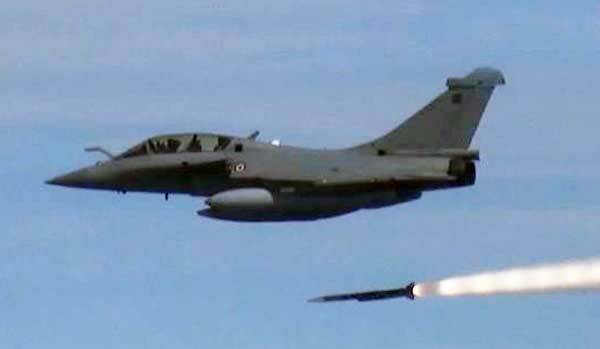 On July 30, 2015, the Minister of Defence Manohar Parrikar informed the Upper House of Parliament that the government had withdrawn the multi-billion dollar tender for the 126 Medium Multi-Role Combat Aircraft (MMRCA), for which the Dassault Rafale was shortlisted in 2012. Earlier during his visit to France in April 2015, Prime Minister Modi had announced that India would purchase 36 Rafale in fly-away condition. The long-awaited deal under a new framework would reportedly cost $7 billion and is near finalisation. The Indian Air Force (IAF) is down to 33 combat squadrons vis-a-vis the authorised 42. The tech-savvy new Defence Minister has instituted a number of measures for enhanced efficiency such as speedy approvals by the Defence Acquisition Council (DAC), a hike in the levels of Foreign Direct Investment (FDI) in defence production, acceptance of middlemen in defence procurement, revamping of the Defence Research and Development Organisation (DRDO) and review of procedures and norms for blacklisting of companies. The recent oil price crash, low inflation and once again booming economy provide a fresh window of opportunity. For modernisation, the equipment-intensive IAF is the most affected. Director of National Intelligence James Clapper discusses emerging challenges in U.S.-Russian relations, cybersecurity, and how his office views North Korea’s nuclear program. Director of National Intelligence James R. Clapper joins PBS’ Charlie Rose to reflect on lessons learned over his six years as director of national intelligence. Clapper discusses challenges in U.S.-Russian relations, including cybersecurity issues, and critical intelligence concerns facing the next U.S. president. ROSE: I’m Charlie Rose, and I have the pleasure to welcome to the Council on Foreign Relations, because Richard Haass is not here, James Clapper, who’s the Director of National Intelligence. He’s the fourth person to hold that job. He oversees 16 intelligence agencies, including CIA, NSA, FBI, and others. I think somebody called it a federal uber-agency of all things secret, appointed by President Obama in June of 2010, retired Air Force general, former director of Defense Intelligence Agency, undersecretary of defense for intelligence, 32 years in uniform. We have many things we want to talk about. And I think you know this is on the record. I’ll mention a couple of things that they always ask me to say. Wait for the microphone. Speak directly into it. I’ll have a 30-minute conversation, and then we’ll speak directly into the microphone. Limit yourself to one question. Be precise. We’re really interested more in your questions than your statements, as you know. And we want to get as many people in as we possibly can. The problem of social sciences and humanities in Afghanistan is complicated by one simple fact: in the age of the so-called “war on terror,” Afghanistan is not only a topic for social scientists, but also a concern for government officials. As a result, Afghanistan Studies are not merely scientific, but political and strategic, since they secure and serve the national security of (Western) countries. Therefore, the initial task of think tanks, consultants, and researchers is to, first and foremost, approach Afghanistan in terms of Policy, Plan and Program (PPP). As the security and strategic objectives in Afghanistan increase, the mentioned model of PPP also becomes increasingly popular by providing practical advice in areas as diverse as financial forecasting, social surveying, and counterinsurgency analysis. In a sense, the PPP model seeks a notion of social sciences in Afghanistan that has the potential to become an organization of counseling services and thus could be involved in an advisory role with authorities. A number of examples of such a function can be found in the vast archive of the research-based organizations: their assessment reports, survey forms, datasets, statistical tables, frequency graphs, policy evaluations, opinion polls and so forth. To a large extent, the PPP model, from the inception of war on terror until the present day, has been oriented towards practical social sciences and humanities in Afghanistan. Nevertheless, for reasons that will be discussed, the PPP model is one of the major obstacles in the way of a successful formation of social sciences as an independent, localized and mature discipline. A very important point to note is that the first meeting in Doha took place in early September, days after the announcement of a new India-US-Afghanistan trilateral. One thing is clear: These are interesting times and hence, the new edited volume Afghanistan’s Regional Dilemmas: South Asia And Beyond (edited by Harsh Pant, published by Orient BlackSwan) is a timely resource. Perhaps owing to Afghanistan’s unique geographical location, the collection of essays covers the expanse of South Asia, West Asia (Iran), Central Asia, Russia and China. In this episode of Pacific Pundit, we have the audacity to argue that great power competition exists between the United States and China. Our history segment reminisces about War Plan Orange and the importance of taking a long view of competition when faced with rising revisionist powers. In conversations with Oriana Mastro (Georgetown University) and Tai Ming Cheung (UC San Diego), we explore various causes and consequences of competition between the United States and China. We also turn to new research by Phil Saunders and Julia Bowie in The Journal of Strategic Studies that examines the military side of Sino-U.S. relations. Van Jackson is a senior editor at War on the Rocks. To bring the vision of CTBT into reality the first and foremost step should be its ratification by the US itself. Therefore, the US itself needs to ratify the treaty first as this would be the chief encouraging step for the rest seven states stagnant on the ratification of the CTBT. It’s been long; back in 1996 since the then US President Bill Clinton signed for the CTBT after which the US impeded nuclear testing. When the CTBT was opened up for signature, the vision was epitomizing a world without nuclear weapons. The CTBT has hitherto been signed by 183 states wherein ratified by 164. On whole, in-order to turn this de facto moratorium into de jure moratorium, still the 44 countries that are listed under Annex 2 of the treaty – the states possessing nuclear technology needs to ratify the Treaty in order to fulfill its demand of entry-into-force. Out of which 36 states have ratified whereas the remaining eight states needs to ratify the treaty. Among which 3 states: NK, India and Pakistan have not even signed while remaining five states the US, China, Egypt, Iran, and Israel – have signed but not ratified the treaty. As the US President Barack Obama counts down his remaining tenure, the endeavors to burnish his legacy with a re-look at the nuclear test ban treaty could birth implications for India. While analyzing the future of CTBT, one has to be skeptical of the fact that the US is putting all efforts to inculcate India into the NSG for attaining a legitimate right over the civil nuclear trade. While doing so, India is under pressure to ratify CTBT since most of the NSG states are party to the treaty except the US. Jinping’s backers are preparing the way for extending the Chinese president’s term beyond the ten-year, two-term limit. They are planning to do this by projecting Jinping as an anti-corruption crusader with a reference to how corruption brought down the Soviet state. But it’s not as simple as that. Jinping is currently leading a China that needs to rethink, re-imagine and reinvent itself if it has to remain a great power. The wire services have transmitted a curious story from the Global Times which should make professional Sinologists sit up. The Communist Party of China (CPC) is in the midst of critical discussions about governance and preparing the way for Chinese President Xi Jinping to rule beyond 2022 when his ten-year, two-term limit is reached. Any extension of the term would block future successions and bring trouble to Jinping from those left behind. Jinping is neither Mao Tse Tung nor Deng Xiaoping to be able to crush mass dissent without substantial backlash. That the backers of Jinping sense trouble for him appears very much the case from their rather outlandish comment published in the Global Times. They are reported to have said that corruption brought down the Soviet state and system and that Jinping’s anti-corruption crusade in the CPC will restore the party to health. There is admission contained in the statement that the party is no longer healthy. Forget an EU Army. When close allies can’t even buy equipment together, closer defense cooperation is a pipe dream. No modern military today is complete without an air defense system — something that can protect citizens from intruding enemy aircraft. But for small countries, such acquisitions don’t come cheap. Just buying an air defense system costs almost $400 million; that’s not including maintenance costs, which tack on further millions of dollars. For a country like Latvia, whose tiny defense budget can barely cover the cost of the system itself, those kinds of numbers can push an indispensable piece of equipment out of reach — unless it can find a partner to team up with. Latvia and Lithuania, neighbors on the Baltic Sea, are about to try just such a scheme. As part of a plan about to be signed by both governments, the two countries will not only buy a host of equipment together but also share maintenance costs. It’s an effort that could foreshadow the future of European military cooperation — for better or worse. Ever since the United Kingdom, a longtime opponent of further EU military cooperation, voted this summer to leave the club, Brussels has revived its discussions about an EU army and a shared defense budget (or, at the very least, closer defense integration). Last month, European Commission President Jean-Claude Juncker told the European Parliament that an EU military headquarters would be a first step toward building a joint military. But most experts believe a massive undertaking like a “European Army” is unlikely to come to fruition anytime soon. And the fact that EU countries still haven’t mastered the far simpler act of joint procurement is typically cited as a case in point. Even before the ink of the Goa declaration dried, Chinese made a drastic U-turn in striking down Prime Minister Modi’s reference to Pakistan as “Mothership of terror”. By glaringly, hyphenating India and Pakistan as victims of terror, China deliberately down played Indian concerns. While China’s volte-face on issues crucial to India are not new, its tacit support is emboldening Pakistan’s unrelenting pursuit of inflicting damage to India. With cross-order terrorism and unceasing infiltration across LoC reaching newer heights, China’s reluctance to incorporate cross-border terrorism perpetrated by Pakistan in the Goa Declaration validates its complicity. Prime Minister Modi in a bid to propel India’s growth trajectory invested tremendous efforts in resurrecting ties with Pakistan and China in the last two years. But both neighbors, the thickest of friends, overpowered by antipathy towards India had responded inimically. China is now propping up Pakistan to keep India preoccupied with unrest and cross border tensions so that New Delhi’s ambitions of emerging as a potential regional counter balance to Beijing are thwarted. In recent years, China is currently luxuriating in the huge bilateral trade deficit with India largely in its favor. While ensuring its economic and trade investment interests are least hurt Beijing is draining Indian energies by buttressing Pakistan. With Pakistan factor looming large Modi met President Xi Jinping along the margins of BRICS 2016 summit. China’s implacable attitude and obduracy are now denting Indian interests. During his recent official visit in China, Philippine President Rodrigo Duterte showered his hosts with a series of unprecedented statements. Despite boldly soliciting financial assistance, the highly pragmatic president, had just taken a new twist within the geopolitical constellation by pronouncing a new alignment with China and a “separation” from the United States. A case in point is, even though Xi Jinping hailed the visit as “a new starting point” in bilateral relations, from the perspective of Chinese elites, the likelihood that China would pioneer the realization of the “triangle pivot” seems low. Why? Nothing could be more powerful than the history to reshape Beijing’s policy-making process. Firstly, Duterte’s “invitation” has prompted an exclusiveness (Russia-China-Philippines) by setting “countries against the US” as the harbinger. For Chinese elites such a proposal to rebalance the US preponderance, the exclusiveness would never be the solution, as it is considerably a brinkmanship. This context is strongly related to the Chinese strategic culture in bringing the value of an alliance down a notch and hailing inclusiveness. “The United States faces a large and growing threat to its national security from Chinese intelligence collection operations,” states the late draft report of the U.S.-China Economic and Security Review Commission. Chinese intelligence activities have “risen significantly” in the past 15 years and are conducted through several spy services, including the Ministry of State Security (MSS), the People’s Liberation Army (PLA), and Communist Party military organizations such as the PLA General Political Department and the Party’s United Front Work Department. Reseachers are using seismic sensors to learn about enemy weapons — and one day, even to find them as they fire. When a roadside bomb took the life of the first U.S. servicemember to die in the drive on Mosul, the shock waves were picked up by seismic sensors. Researcher Gassan Aleqabi was in nearby Sulaymaniyah, maintaining the local node of the Northern Iraq Seismic Network, or NISN, in the hopes that the data it gathers will one day help protect troops from IEDs and similar explosive weapons. History credits 19th-century geologist John Milne with the creation of the first modern seismograph, a tool to measure tremors in the earth. In 1960, the U.S. military established the World Wide Standard Seismographic Network, putting the devices to work monitoring Soviet nuclear tests. Today, Aleqabi and his fellow researchers are exploring what seismographs and acoustic sensors can tell us about IEDs. in 2006, enemy mortar rounds struck a munitions dump on Camp Falcon, a forward operating base just outside of Baghdad, setting off a lengthy chain reaction of explosions. Energy from the blasts moved through the air at supersonic speeds, and through the earth as seismic waves, where they were detected and measured by the nearby Baghdad Seismic Observatory. Aleqabi, along with Michael Wysession, professor of earth and planetary sciences at Washington University in St. Louis and other researchers, discovered a unique sound picture of what had occurred. They published their paper on the subject at the end of 2015. “We just happened to be four miles away from the Air Force ammo post that got hit by mortar fire and underwent this cookoff over a period of a day. And we looked back through records and realize we were close enough to record car bombs and we could pick out helicopter signals … drones and variety of other military operations,” Wysession said. Three years ago, the Guardian published the first story based on the huge archive of documents Edward Snowden stole from the National Security Agency while working as an NSA contractor. Then–attorney general Eric Holder’s Justice Department quickly charged Snowden with felonies for theft of government property and mishandling classified information. This May, however, Holder praised Snowden. “I think that he actually performed a public service by raising the debate that we engaged in and by the changes that we made,” Holder said. This seems like an improbable claim. Snowden compromised scores of surveillance techniques, representing billions of dollars of investments over many years. U.S. firms that secretly cooperated with government intelligence agencies stopped doing so to the extent they could, and public defiance became the business-compelled norm. Firms made encryption more readily available and easier to use, which made it harder for the U.S. government to monitor communications and access data. Many foreign governments responded with countermeasures like data localization laws, tighter privacy rules and closer judicial scrutiny of U.S. collection practices. This claim is unverifiable but seems plausible in light of the breadth of and reaction to the disclosures. The intelligence losses extend beyond counterterrorism, the main context in which these issues are typically discussed. NSA collections undergird every element of U.S. national security and foreign policy—including its extensive military operations around the globe, its pervasive diplomatic engagements and its numerous economic negotiations and initiatives. A new poll from an unlikely source suggests that the U.S. public and the U.S. media have very little in common when it comes to matters of war and peace. This poll was commissioned by that notorious leftwing hotbed of peaceniks, the Charles Koch Institute, along with the Center for the National Interest (previously the Nixon Center, and before that the humorously named Nixon Center for Peace and Freedom). The poll was conducted by Survey Sampling International. What, dear reader, do you say? If you say less safe, you not only agree with dozens of top U.S. officials the week after they retire, but you agree with 52.5% of the people polled. Those who said “more safe” add up to 14%, while 25.2% said “about the same” and 8.3% just didn’t know. Well, at least all these humanitarian wars to spread democracy and eliminate weapons and destroy terror have benefited the rest of the world, right? The Redirect Method, a targeted advertising initiative by Jigsaw, a Google technology incubator, is among one of the latest ventures by the private sector in tackling security challenges such as violent extremism. Such efforts are welcomed in enhancing existing contributions in countering violent extremism. Jigsaw, a Google technology incubator, announced a new initiative on 7 September 2016 that aims to use targeted advertising on Google’s search engine to confront extremist recruitment efforts online. Dubbed the Redirect Method, it seeks to engage young people who are vulnerable and sympathetic towards the messaging of the Islamic State of Iraq and Syria (ISIS) also known as IS or Daesh. Jigsaw aims to connect individuals interested in extremist propaganda with YouTube videos that undermines the efforts of extremists at recruiting these individuals. This initiative intensifies efforts of the world’s biggest search engine in deterring aspiring recruits from the propaganda efforts of ISIS. Could the Redirect Method be a game changer in tackling violent extremism? At the core of the Redirect Method is a targeted advertising campaign, with similar aspects of a traditional advertising campaign such as understanding the characteristics of a target audience and the promotion of ad content. Firstly, keyword generation is conducted; identifying text entered into Google’s search field from a list of 1,700 keywords identified which an individual who is sympathetic to ISIS might use in searching for information. Some examples identified include supporter slogans. This aids in narrowing a specific sector of the audience online in order to differentiate between individuals who have positive sentiments towards ISIS versus a more general audience. DIFFA, Niger — The military convoy was rumbling across a river near the border last month when soldiers suddenly realized they were surrounded. More than 100Boko Haram fighters, some of them on horseback, had encircled the vehicles, ready to strike. The 300 soldiers from Niger and the handful of American Special Operations forces accompanying them called for help. Soldiers from Chad rushed to the area, and fighter planes from Niger buzzed overhead, bombing the militants, killing some and sending others fleeing. This time, at least, the quick international teamwork averted what could have been a deadly militant ambush. Defeating Boko Haram was a flagship campaign promise of President Muhammadu Buhari of Nigeria, the former general who took office a year and a half ago. Since then, the Nigerian military, aided by neighboring countries — along with training from the United States, Britain and France — has made huge advances. Mr. Buhari has claimed for months that Boko Haram has been defeated, and this month he reveled in the release of 21 of the nearly 300 girls kidnapped from a school by Boko Haram more than two years ago. Yet a troubling new series of attacks in Nigeria and the neighboring country of Niger, including one that killed dozens of soldiers, highlights how Boko Haram is far from eliminated. With the rainy season ending and roads becoming passable again, officials are bracing for more ambushes like the one at the river crossing. TORONTO — Foreseeing a possible “flood of foreign fighters” out of Syria, the RCMP has circulated a strategy that involves trying to understand the returning fighters’ intentions and working with communities. The plan calls for monitoring the social media activity of the “returnees,” placing them on the no-fly list and asking Passport Canada to revoke their travel documents and flag their future passport applications. The “range of responses” for dealing with returnees who have either received terrorist training abroad or taken part in foreign conflicts is outlined in a report obtained by the National Post under the Access to Information Act. “Amongst other things, the Force must also determine whether they are radicalized and intent on committing crimes, including terrorist acts,” said the report, Foreign Fighters: Preventing the Security Threat in Canada and Abroad. The document, which the RCMP provided to federal officials who drafted the 2016 Public Report on the Terrorist Threat to Canada, was released amid concerns about fleeing combatants following the launch of the Mosul offensive. Key Takeaway: ISIS is actively defending Mosul, and its actions provide a window into the intent and capability of the group. ISIS’s forces in Iraq are still able to coordinate attacks at the operational level of war to achieve linked military objectives. ISIS is likely to expand upon its counteroffensive to offset Coalition operations near Mosul in ominously quiet areas like Diyala and Baghdad. ISIS’s various defensive tactics and campaigns demonstrate organizational integrity rather than collapse. The Coalition will ultimately recapture the city of Mosul, but ISIS is likely to resurge elsewhere in Iraq and Syria both before and after the city falls. In its wake, the Ba'athist group Jaysh Rijal al Tariqa al Naqshabandiya (JRTN) will resume a Sunni insurgency in Iraq. Al Qaeda is also preparing to expand its operations from Syria back into Iraq. The greatest strategic vulnerability the anti-ISIS coalition continues to face is the empowerment of al Qaeda through its surgical anti-ISIS measures. The anti-ISIS coalition is making progress toward Mosul, ISIS’s largest urban holding, recapturing the district of Hamdaniyah on October 22 and the Christian town of Karmeles on October 25. ISIS is actively defending Mosul, and its actions provide a window into the intent and capability of the group. The Coalition campaign for Mosul is designed well near the city but leaves other locales in Iraq and Syria vulnerable. ISIS is taking measures to exploit the vulnerabilities of the coalition both to defend Mosul and to set conditions for its future resurgence in Iraq. ISIS’s grand strategic objectives remain to expand its physical caliphate to include the entire Muslim world and to provoke and win an apocalyptic battle with the West. In order to meet those objectives, ISIS will attempt to weaken the Iraqi state and the coalition and to provoke a reaction against its Sunni base. ISIS can pursue these objectives even if it loses control of Mosul. ISIS is nevertheless defending Mosul, a crown jewel in its claim to a physical caliphate. ISIS’s forces in Mosul are insufficient to block the coalition’s advance. 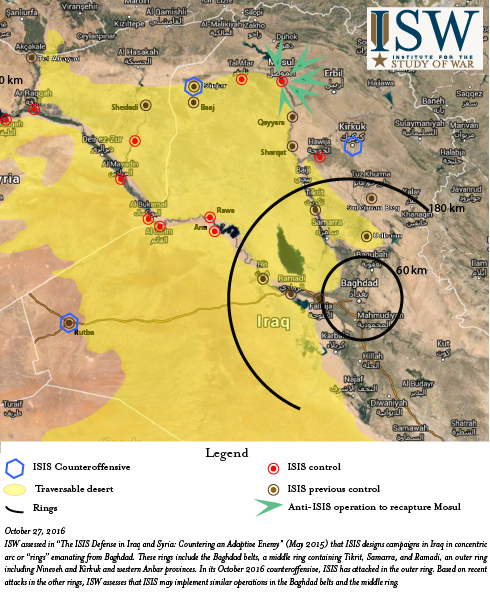 ISIS is therefore employing an asymmetric defense, leveraging its remaining forces in Iraq and to some extent in Syria as of October 27, 2016. Hillary Clinton’s inner circle speaks to the 'Post' on how her administration will handle relations with Israel and Iran. Democratic presidential candidate Hillary Clinton consults with senior foreign policy adviser Laura Rosenberger and speechwriter Dan Schwerin backstage after addressing the American Israel Public Affairs Committee, March 21, 2016. NEW YORK – Hillary Rodham Clinton is preparing to dramatically shift the tone and tenor of relations with Israel away from a publicly disputatious posture adopted by the Obama administration, according to several of her top aides, who in conversation with The Jerusalem Post outlined, for the first time, her detailed plans for the alliance should she win the White House on November 8. On the question of Iran, on the challenge of Middle East peace and in bilateral relations between the two countries, Clinton sees an opportunity to turn the page after eight years of turbulence – to bring disagreements in from the cold, back behind closed doors, and to rebuild trust between their leaders and peoples. Her team describes a former diplomat eager to reassert where Israeli and American interests converge. President Clinton’s focus, they say, will be to reconstitute an environment in which Israelis are willing to follow US leadership, motivated by the belief that tactics from the last administration proved counterproductive to its well-intentioned pursuit of peace. 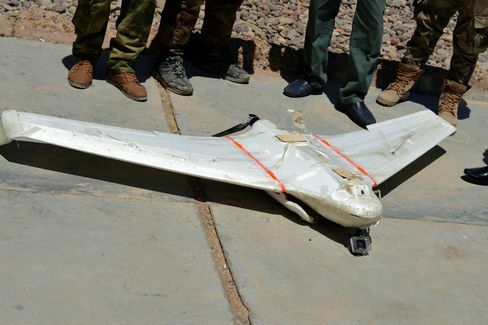 A drone belonging to Islamic State group which was shot down by Iraqi security forces outside Fallujah, Iraq, on May 26, 2016. With the battle to retake the Iraqi city of Mosul under way -- and a similar effort across the Syrian border in Raqqa planned soon -- Islamic State militants are making aggressive use of small drones to survey Iraqi and U.S. forces and drop explosive devices, the top U.S. general in Iraq said. The Islamic State “makes extensive use of drones” that’s “not episodic or sporadic” but “relatively constant and creative,” Army Lieutenant General Stephen Townsend told reporters at the Pentagon Wednesday via videoconference from Baghdad. They are used “mostly for reconnaissance and surveillance” and directing rocket or mortar fire, he said. The terrorist group’s efforts include landing a “Trojan Horse” drone that appeared benign when it set down near coalition forces but then exploded and caused casualties, Townsend said. His comments, as well as a $20 million Pentagon funding request in July to counter enemy drones, underscores that commercially available drone technology has proliferated beyond hobbyists to adversaries. At the Pentagon, the police force has posted “no drone” signs around the sprawling complex along with the usual “no photos” reminders. Fort Meade says 133 Cyber Mission Force teams have reached initial operating capability, with full readiness two years away. U.S. Cyber Command’s 133 Cyber Mission Force teams reached initial operating capability last week, the command said in a statement Monday. The milestone comes six years after the new command launched and two years before it’s scheduled to reach full operating capability. It also comes as the Pentagon and intelligence agencies are considering whether to recommend decoupling Cyber Command from the National Security Agency with which it currently shares a single leader and numerous resources. That idea faces opposition in Congress, including from Senate Armed Services Chairman Sen. John McCain, R-Ariz., and Sen. Deb Fischer, R-Neb., who chairs the Armed Services subcommittee that oversees cyber operations. Initial operating capability means all cyber teams have reached “a threshold level of initial operating capacity and can execute their fundamental mission,” according to a Defense Department statement. CYBERCOM is currently staffed at 5,000 troops with a final goal of 6,200 troops, according to the DOD statement. Even full operating capability is often defined as less than 100 percent staffing because of the basic churn of troops in and out of units. About half of Cyber Mission Force teams have already reached full operating capability, DOD said. What would an “interim” Brexit deal look like?